The Fanatic website 2011 is already online. Check out the new wave- and freestyle boards, SUP boards, Surfboards and Surfskates. Fanatic already released following 2011 models on their site: the Quad TE, the Newwave Twin TE, the Newwave TE, the Freewave and the Skate. Unchanged in their range are the Ripper, the kids board and the Viper, the board for the entry level. The 2011 Freeride/Race Windsurfboards will be released in October. For most Northern Hemisphere markets, the 2011 Freeride products (Hawk/Shark) will only be available in January 2011. 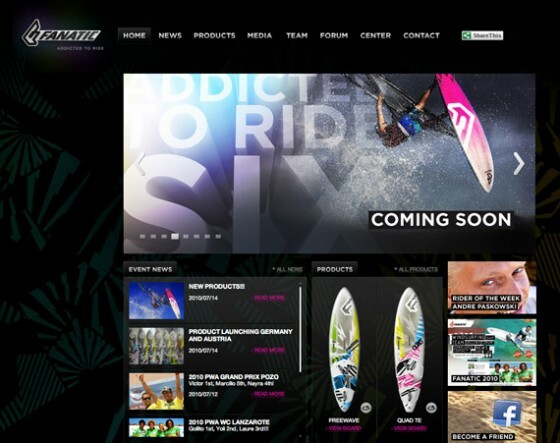 The actual 2010 Freeride boards will remain on our 2010 home page until then.